At our most recent Indagare Member Event, “Nature’s Strongholds,” co-hosted by Wilderness Safaris and the Wildlife Conservation Society at the Central Park Zoo in New York City, our members enjoyed a wide-ranging discussion about conservation and responsible tourism with several of our longtime partners: global leaders whose mission is to protect the pencil marks of the African bush from the eraser’s constant threat. The panel was moderated by Melissa Biggs Bradley, Indagare’s CEO and founder and one of the world’s leading Africa travel specialists, and included James Currie, brand ambassador for Wilderness Safaris; Eric Sanderson, senior conservation ecologist at WCS; and Tim Tear, executive director of the Africa Program at WCS. These experts revealed some of the greatest challenges they face on the ground while trying to ensure that the Africa we see today will still be there for future generations to discover. The question facing many lodges in Africa—in addition to thousands of hotels around the globe—is how to incorporate meaningful conservation work into their daily operations. Currie said that properties need to do more than simply pay lip service to sustainability or enact small, cost-saving measures (such as asking guests to reuse towels in order to save water). “What are you doing beyond that?” Currie asked. He noted that Wilderness, an ecotourism company that operates camps and safaris throughout Africa, has incorporated conservation into its DNA, viewing itself as a conservation company masquerading as a hotel brand. 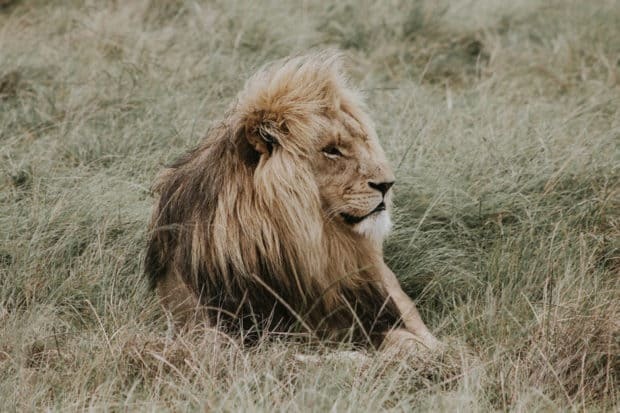 The company helps protect 33 threatened species that live near its lodges and supports important local efforts, including scientific research, anti-poaching campaigns and the removal of snares that injure and trap animals in the wild. Many Indagare audience members were curious to learn about anti-poaching efforts in particular, and Tear described firsthand his experience fighting poaching, noting that these campaigns face multiple challenges on the local, national and international levels. “Laws are only effective if they’re enforced,” he said. Local communities need to trust the organizations that are working among them and see the value in protecting their neighboring wildlife, or the laws may go ignored. Opportunities for local employment must also exist, so community members aren’t drawn to lucrative illegal pursuits (such as poaching) as the only option to support their families. On the national level, parks and reserves need to be managed effectively, requiring both a government with the will to protect its natural strongholds and a strong partnership between the government and external organizations, such as WCS, which is dedicated to studying the world’s wildlife species and helping them survive and thrive. Lastly, the international community needs to rally behind a cause. The ban on the ivory trade, for example, has helped chip away at the international pressure that once sustained the poaching industry. 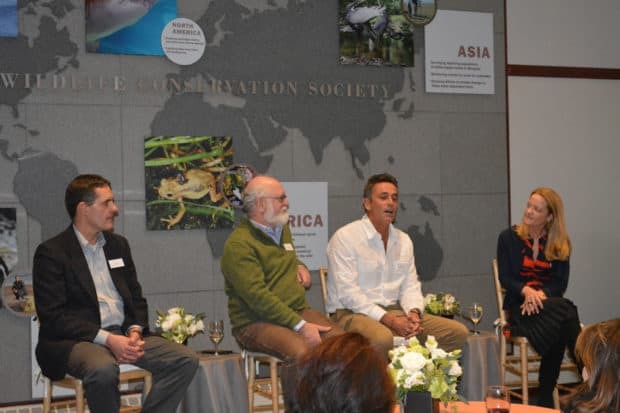 Digging deeper into the conservation challenges that exist at the local level, panelists argued that until people feel an immediate and personal connection to the nature and wildlife around them, it will be difficult to foster significant support for conservation. Currie cited an example in which the illegal bush meat trade continued to flourish in Zambia until the impact of the trade hit closer to home: A television campaign informed local communities that eating bush meat was harmful to their health, and the illicit trade was dealt a devastating blow as demand for the meat plummeted. Sanderson argued that all people need to feel inspired to protect nature—and this starts by opening our eyes to the world around us. Ensuring that everyone has “an experience of nature,” in which they can witness the wonders of nature and wildlife for themselves, can help people realize why they should care about its survival. At the national level, while some countries, such as Botswana, have been able to grow their economies through ecotourism, other nations still lag behind. Many governments and communities want more tourism—Tear noted that “nature-based tourism is a big part of these countries’ economic development packages”—but sufficient infrastructure to support the new industry does not yet exist. From a global perspective, the panelists also agreed that the issue of overpopulation must be addressed. Sanderson noted that we are in the midst of a “demographic transition,” as the world moves towards population stabilization for the first time in thousands of years (largely thanks to the increase in urban residents, who tend to have fewer children). This transition is expected to be advantageous, as it will alleviate some of the demands on our world’s natural resources, but not all regions will reap the same benefits. While the population in the rest of the world stabilizes, sub-Saharan Africa will need to be our focus, as the population there continues to grow. Tear added that this goal of population stabilization is still decades away, so it is critical that we assure the survival of endangered wildlife and natural landscapes in the meantime. Fortunately, organizations like the WCS have stepped up to act as custodians of these threatened regions. “It’s exciting, it’s hopeful and it’s a bit scary, because it’s a major responsibility to take on,” he said. 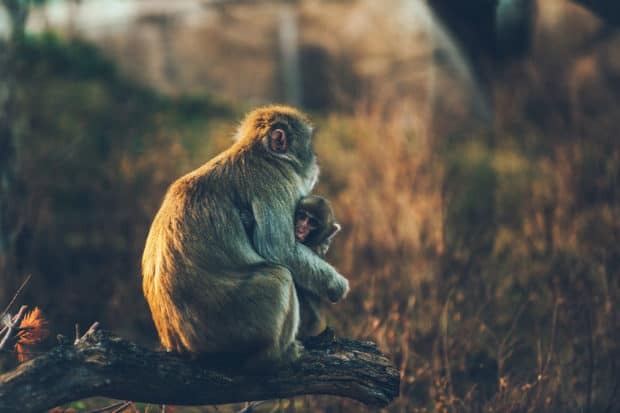 Sanderson pointed to cities, in particular, as a potential solution to both the pressure of overpopulation and the ongoing threats to wildlife. As more people move out of rural areas and into cities, the benefits are multifold: City-dwellers tend to have smaller families, which contributes to population stabilization, and fewer people living alongside animals in remote areas will reduce the number of harmful interactions between people and the neighboring wildlife that can be threatened by human encroachment. As the population gradually moves into these urban areas, ensuring that African cities enjoy responsible governance, improved infrastructure and economic growth will be an important challenge. Despite these hurdles, the panelists agreed that there is reason for hope. While most discussions center on grim statistics and the threats to conservation, success stories can always be found. Tear mentioned that hardly any Westerners have heard of Niassa, in Mozambique, but the region is actually on the forefront of anti-poaching efforts. 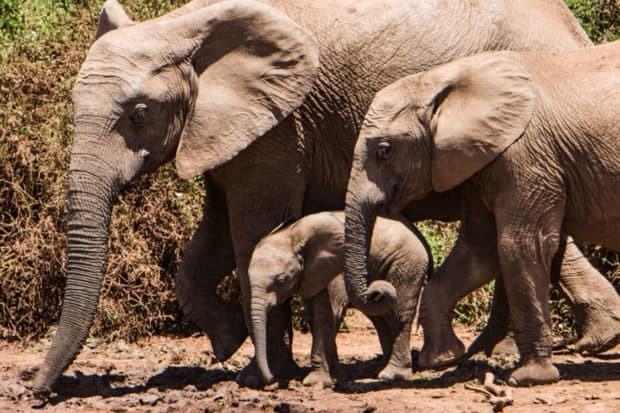 In 2018, a WCS initiative in Niassa saw a stunning 80 percent decline in poaching in the area—despite previous predictions that such rapid success would never be possible. Additionally, all the panelists pointed to Botswana and Rwanda as beacons of hope and models for the rest of the continent. Currie cited Botswana’s “low volume, low impact” approach to tourism as a particularly effective example of growth. By welcoming smaller numbers of tourists to more exclusive (and more expensive) camps, the country can still take in large amounts of money while minimizing the environmental impact of visitors. In Botswana, the lodges are granted only temporary concessions to build on the land, so the camps are not permanent structures. This means that after a lodge closes, the area can be rehabilitated. Currie added that there are several sites in Botswana where Wilderness previously operated lodges, and now that they have moved, you would never know that a lodge was once there. The same low-volume, high-dollar approach has been enacted in Rwanda, where gorilla trekking permits demand a high price and are limited to a small number per day in order to protect the gorillas and their habitat. The panelists also drew inspiration from the emergence of Kigali, the Rwandan capital, as a vibrant cultural hub less than 30 years after the genocide ravaged the country. The city, which was once a mere stopover en route to gorilla trekking in the national parks, now attracts visitors in its own right, thanks to its talented artisan community and spirit of resilience. In the face of what feels like a constant stream of negative news, these experts look to the success stories in Mozambique, Botswana and Rwanda and feel hopeful for the future. “Any city and any country that has the will and the right leadership can [be successful],” said Currie. And passionate travelers, including the members of the Indagare community, are poised to play an important role. “I think the key is that we’re all in this together,” Currie said, “And it starts with any traveler who wants to go to Africa.” These interested travelers can seek the guidance of an agent who should educate them about the continent and help them choose responsible properties and safari companies that are promoting conservation and sustainability on the ground. If all of these players—travelers, agencies, lodges, local communities, governments and organizations like the WCS—are united in their purpose, the magic and mystery that so many travelers discover in Africa may survive for centuries to come. Contact Indagare for assistance planning a conservation-focused trip.